Dhokla is a steamed recipe originating from Gujarat (a western state of India). Gujarati generally make it in breakfast. Khaman dhokla popularly known as Dhokla is prepared from only lentils (dals) or chickpea flour (besan in Hindi). Another type of Dhokla called Khatta Dhokla contains rice and dal in its batter. Traditionally in old days when baking soda and ENO(an antacid manufactured by GSK) were not available Dhokla was made from lemon juice and curd. Use of lemon juice and curd to prepare Dhokla takes around 8-9 hours of fermentation time. To make a soft and fluffy dhokla in modern days we use baking soda/baking powder/ENO/Citric Acid. 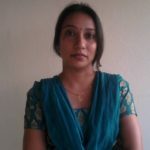 This results in a soft and spongy dokhla within 30 minutes. 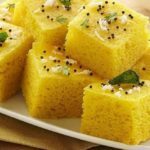 How to make spongy dhokla? Dhokla is tastier if it is spongy. To make dhokla spongy is really very simple. For this you have to be careful only for few things. Prepare batter without lumps. Make it very smooth. If lumps remain inside the dhokla the dhokla do not turn spongy. Use refined oil and sugar to make the batter viscous. When the batter is more viscous the dhokla becomes more porous as this viscosity acts as balloon to hold the gas and stream inside. Resulting in bigger pores inside dhokla. Keep the batter to rest for 15 mins and then add any acidic agent like baking soda etc. After adding acidic agent always stir in one direction. This stirring in one direction adds air to the batter. This air break out into blossom during cooking, thus give it a porous structure. You will also notice that batter’s volume will increase to almost double during this process. Apply oil on the surface of plate in which you are going to steam the dhokla batter. This oil not only helps to smoothly remove the dhokla from the plate, it also helps in maintaining an even temperature from all the side. It also stops exiting of gas and stream formed inside the dhokla from sides. 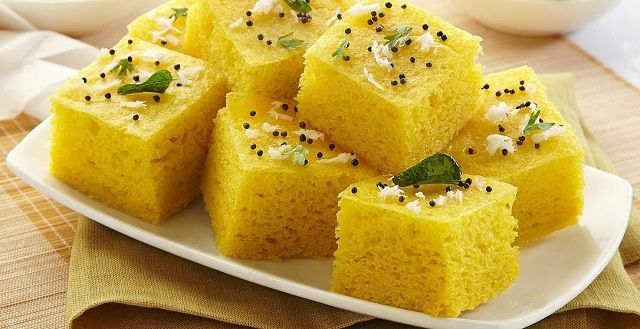 Let’s turn to cook the this delicious spongy dhokla recipe. Besan dhokla is a Gujarati snack. Being steamed gram flour (besan) dhokla is healthy and nutritious too. Learn how to make Gujarati dhokla. Soak the citric acid in 2 tablespoon of water and stir till citric acid gets dissolved in water. In a vessel sieve the gram flour. Filtering the gram flour ensures mildness, this avoids forming lumps while adding water. Now add the turmeric powder in the batter and mix it well. Ensure you add a little turmeric powder only, otherwise this batter with turn red in color when we will add baking soda to it. Add salt and sugar powder in gram flour and mix well. Then add 1 tablespoon refined oil and again continuously stir and mix well for 2-3 minutes. Add citric acid solution to the batter and again mix well continuously stirring for 2-3 minutes. Now it's time to make the batter of our gram flour. While mixing add little water in parts and stirring it with a spoon, make a smooth and thick batter. Ensure no lumps are formed in the batter. You might have observed we have added individual ingredients after that mixed them well continuously stirring the mixture. These steps helps to create a soft and spongy dhokla. So, don't skip these steps. Cover the batter and leave it for 15 minutes, so that the gram flour gets soaked well. After 15 minutes we will start cooking our dhokla recipe. Place a forged stand inside the large pot or cooker. Then add some water and let water boil over medium flame. The water should be sufficient to steam the dhokla, but should not jump over the dhokla during boiling. After 15 minutes open the cover of the dhokla batter. You will find that the batter has become viscous and much more thicker. We have achieved a perfect dhokla batter. Now we will turn this batter into sponge batter. To make dhokla batter fluffy, sprinkle the baking soda over this batter. With a spoon rotating in circular motion, at high speed - mix the dhokla batter for around 2-3 minutes. Ensure to stir in one direction only (i.e either clockwise or anti-clockwise). This process will help forming air bubble in the mixture. You need to mix the dhokla mixture quickly and very well. Otherwise some parts of the dhokla won't be spongy and porous. So, mix it very quickly and do it well. Before pouring dhokla batter in plate (in which you are going to cook dhokla), grease its inner surface evenly with oil and make it smooth. Immediately transfer the mixture to the plate and level the top of mixture with a spatula or spoon. When the water starts boiling and you see steam comming out ,transfer the plate along with batter over the forged stand. Turn flame to medium low, and cover the vessel in which the water is boiling. So as to keep steaming in the dhokla. If you are using pressure cooker, to steam the dhokla, then remove the weight (whistle) from the lid. Steam and cook the dhokla batter on medium flame for 20 to 25 minutes. After 20-25 minutes when the dhokla gets cooked. A knife or toothpick inserted in the center of dhokla should come out clean. When cooked, remove the dhokla pan from heat and let it cool down a little, on room temperature, inspite keep it a little warm. Then place a plate on top of the dhokla pan and turn upside down. Tap the pan and the dhokla will gently slip on to the plate. Place another plate on the dhokla and again turn upside down, this will make dhokla the top side face up again. Cut the dhokla with a knife, to get medium or large bite sized pieces. Remember the dhokla still should be warm enough, otherwise it will not absorb the tampered juices poured over it. Heat 2 tablespoon oil in a small pan or tadka pan. Add black mustard seeds and let the mustard seeds crackle. When the mustard seeds stop crackling, add 1 pinch asafoetida, 7 to 8 curry leaves, green chillies, stir and fry for a few seconds, till the curry leaves become crisp. Add 2 tablespoons water. Be careful while adding water to it as the mixture starts to plutter and sprinkle out. You can also switch off the flame while adding water. Then add 2 teaspoons of sugar, stir and mix the sugar with the water and cook until the water gets boiled. Then switch off the flame and pour this entire tempering mixture slowly and gently all over the dhokla. Again remember dhokla should be warm, so that it can absorb juices properly. To garnish dhokla sprinkle 2 tablespoons chopped coriander leaves and 2 tablespoons freshly grated coconut all over the dhokla. very nice recipe i love dhokla i will try thank you for shearing keep it up.